John Bercow, the Speaker of the House of Commons, is expected to champion the rights of LGBT people in the Commonwealth in a speech next week, the Independent reports. Mr Bercow is the honorary leader of Kaleidoscope Trust, a gay rights group that was created to champion the rights of gay and trans people around the world. The Speaker has been a vocal supporter of gay rights, and, after being elected to his position, he adopted a coat-of-arms with multiple symbols of gay equality. His speech, addressing the Kaleidoscope Trust, is expected to draw attention to the fact that, as a result of British colonialism, 41 out of the 54 countries in the Commonwealth have laws that criminalise homosexuality, including five where the penalty is death. In the world at large, 76 countries have penalties against homosexual acts. The Kaleidoscope Trust has the backing of all the major party leaders, including the Prime Minister, David Cameron. 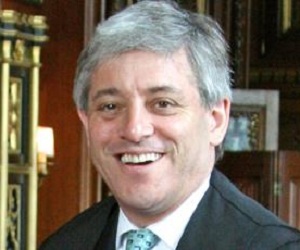 Mr Bercow’s lecture will take place on 16 May, on the eve of International Day Against Homophobia (IDAHO), at the Commonwealth Club in Northumberland Avenue, London.